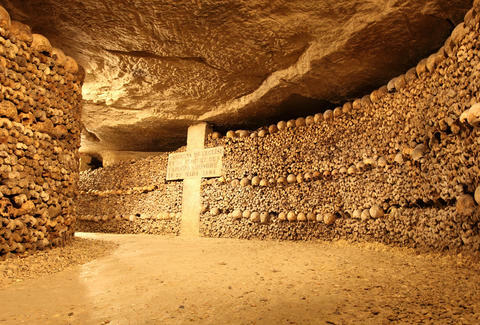 This is one of the oldest, creepiest networks known to the world, spanning hundreds of miles of old caves, tunnels, and quarries beneath the French capital. Much of its infrastructure has been illegally explored by “cataphiles” (the word for local urban spelunkers) like the secret society les UX, who’ve even set up underground cinema clubs and art installations over the years. One of the most famous graffiti areas is called La Plage or The Beach, a random sandy area highlighted by a Japanese mural. The more official, legal-to-explore part of the catacombs is its subterranean cemetery available on public tours. Here you can see the bones of 6 MILLION people along walls, behind glass cases, and even freakily arranged into skull and shinbone designs. Not much is known about Moscow’s underground passageways -- as it’s all considered classified and even patrolled by police -- but that hasn’t stopped intrepid urban adventurers from exploring. 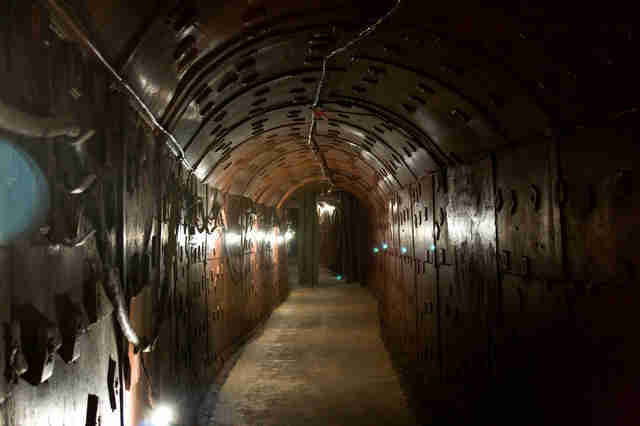 According to VICE, the tunnels are spread across at least six levels and contain everything from military bunkers to old dwellings where people sometimes (still today) throw parties. The holy grail of the system is Metro-2; a secret underground subway system supposedly built by Stalin that has never been formally confirmed or denied by Russian authorities (although there is a lot of evidence that points to its existence). This border city is famous for its underground series of shafts used by Mexican cartels to smuggle drugs into the United States. 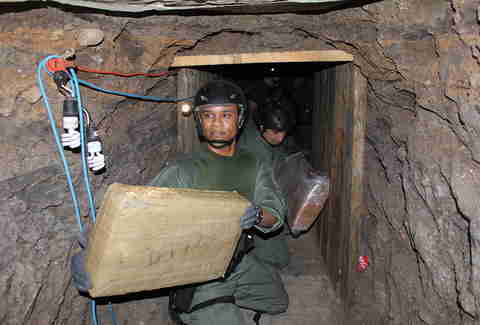 In fact, a tunnel-and-rail-car system that winds all the way to San Diego was recently uncovered 33 feet below ground and is said to belong to the gang of El Chapo -- you know, that drug kingpin who escaped from a high-security prison and is yet to be recaptured. It seems like every other bar and restaurant in Berlin was once a Communist building or abandoned factory. But there are just as many secrets hidden below the ground. Berliner Unterwelten leads tours through a labyrinth of old Nazi tunnels that connects bunkers, air raid shelters, and even the Third Reich’s former aircraft factory. You can also see the makings of an underground highway, designed for what would’ve been Germania, Hitler’s vision for a world capital. 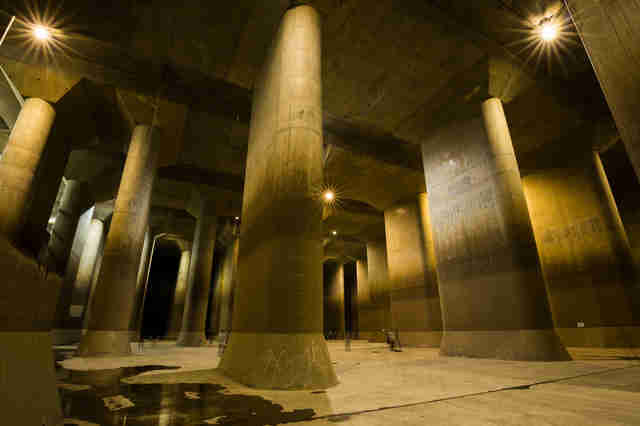 Tokyo’s tunnels are not only epic and elaborate -- they are literally saving the city from drowning. 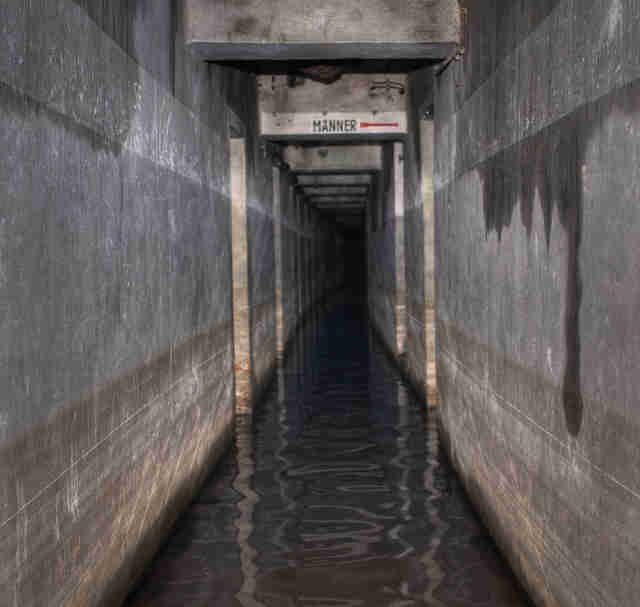 A high-risk zone for flooding and tropical cyclones, Japan’s capital is equipped to handle such a disaster thanks to a complex system of giant sinkholes and tanks (actually, the world's largest underground diversion facility for floodwater). The water is drained out through what’s called the underground Parthenon -- a Matrix-esque chamber with towering pillars that pump the water into the Edo River. You can even take a public tour if you’re so inclined. Okay, so this one isn’t as mysterious or historic as some of the others, but Canadian winters are brutal, and that’s what makes Toronto’s PATH underground walkway so fantastic. That, and it’s the the largest underground shopping complex in the world! Every day, over 100,000 people pass through the 16-mile network of shops and subway exits, perhaps making up for a lack of serotonin with a little retail therapy. Pretty much every major attraction in the city is connected to PATH, from the CN Tower to the Hockey Hall of Fame, so you could basically do all your sightseeing in Toronto without ever taking a breath of fresh air. These were the Viet Cong’s secret weapon during the war. Built over a span of 25 years, this collection of shelters, supply routes, and deadly booby traps shielded guerillas, although thousands still died fighting in them (especially from the spread of diseases). 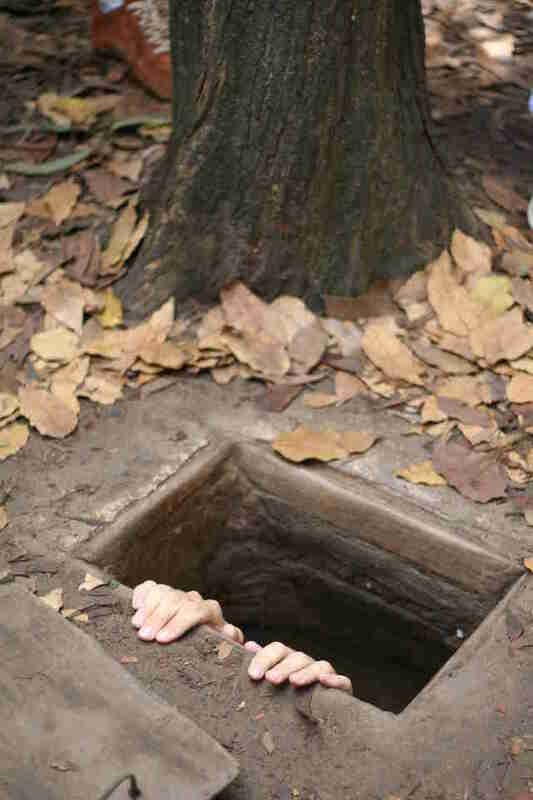 Today, the narrow tunnels are a popular tourist destination in Ho Chi Minh City but be warned -- they’re not always the easiest to fit through. Cape Town doesn’t have a subway, but it does have a complicated, winding system of below ground walkways. These storm water drains date back to the 1600s, when they were originally used to provide Dutch settlements and ships with fresh water. In dry season, it’s fairly safe to explore them (that is, if you don’t mind a little manhole-jumping) and various companies offer guided tours. 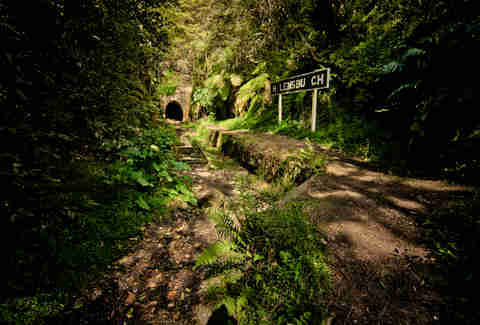 Sydney’s abandoned railway network spans the entire city, and it’s jarring to think it was once packed with commuters. 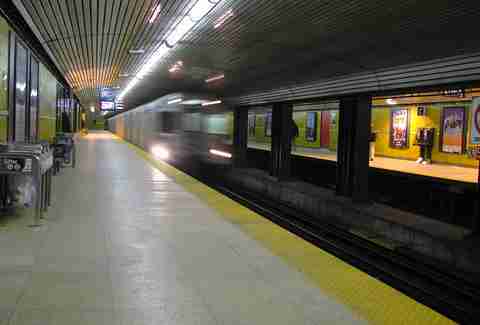 Old platforms, frames for advertising posters, metro signage -- all of it left to deteriorate. If you look hard enough, you’ll even find steel-reinforced bunkers and bomb shelters, too. 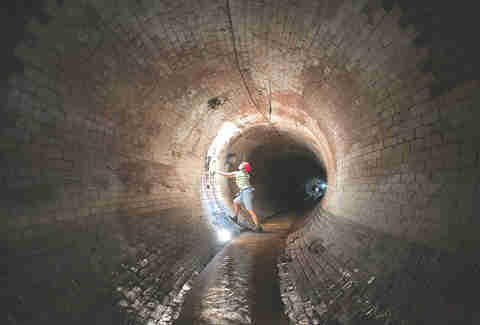 One of the most interesting areas is known as Lake St. James, a stinky body of water below Macquarie Street train station that filled up over the years in a disused tunnel. Urban legend has it that the army sends troops down there to train in the darkness -- and, oh yeah, that it’s also home to massive albino eels. Barbara Woolsey is a writer based in Berlin, and loves the city’s abandoned buildings (because, warehouse parties). Find out more about her travels on Facebook and Twitter.